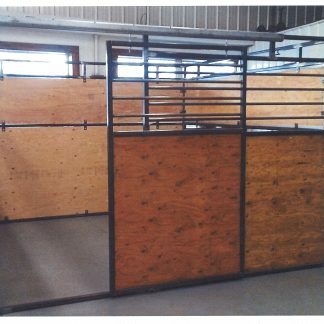 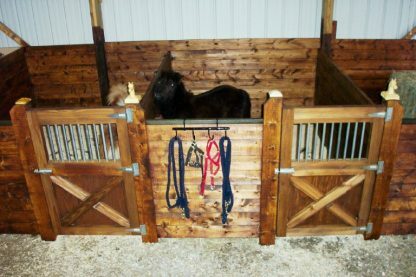 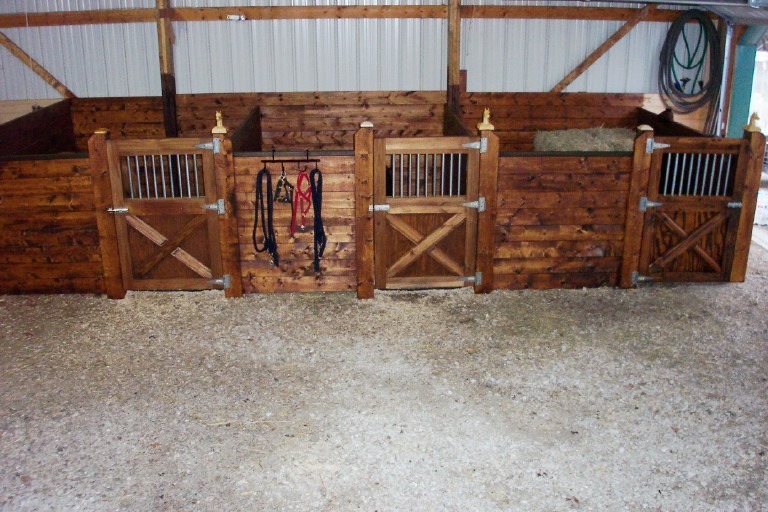 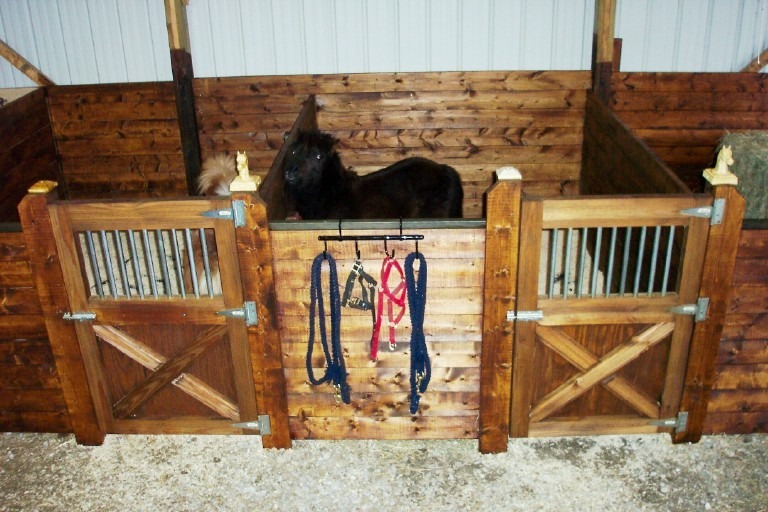 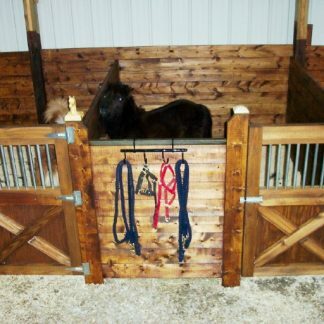 A minature horse stall proportionately scaled down to encompass all the quality and craftsmanship of our full-size stall. 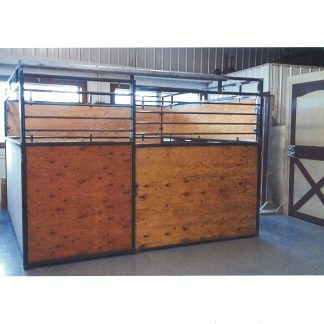 The 32″ X 48″ X 2 1/8″ – swinging door is constructed of the same top-grade lumber as our highly acclaimed R-48 stall door. 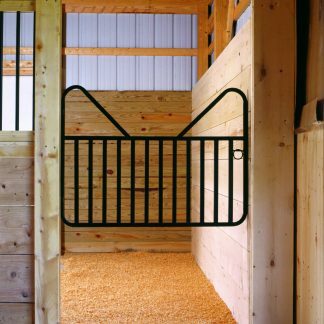 The 1″ diameter zinc coated grill bars are spaced with safety in mind at 1 1/2″ apart (standard grill height 14 3/4″). 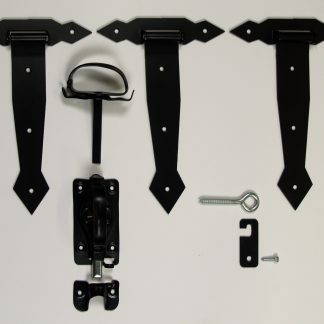 The front grills and side grills are available in your specified lengths. 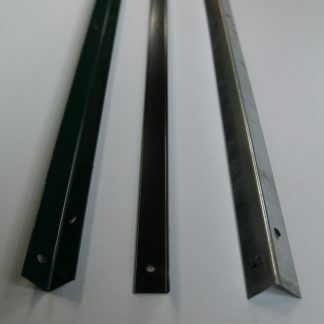 14-gauge, pre-drilled wood U-channel allow for easy assembly.